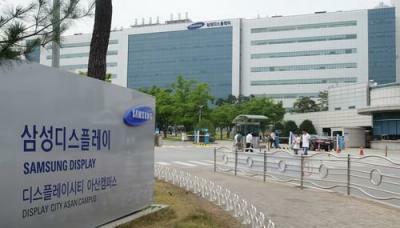 According to reports from Korea, Samsung Display is considering a new OLED plant, that will include two different building in Choenan and Asan. This fab will be Samsung's largest OLED fab yet (and the world's largest, really) - with a monthly capacity of 180,000 to 270,000 6-Gen substrates. Samsung's current largest fab, the A3, will have a monthly capacity of 135,000 substrates when the current expansion phase ends later this year. This plan has not been approved yet, but it seems like Samsung has already informed of the plans to its key equipment suppliers. The investment in this fab will be large, the buildings alone will cost $1.75 billion. Samsung plans to start operating the fab in 2019. Samsung has already decided (at least according to reports earlier this month) to construct the A4 flexible OLED fab, A 6-Gen line which will have a capacity of 60,000 - 135,000 monthly substrates. The A4 is expected to start mass producing panels in 2019. Total cost for this fab is estimated at $7 billion to $11.5 billion.